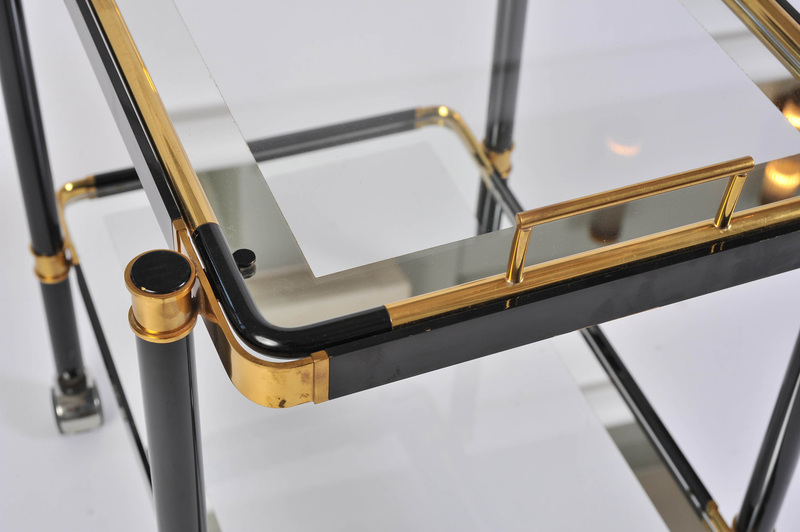 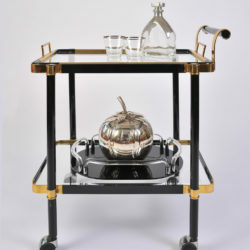 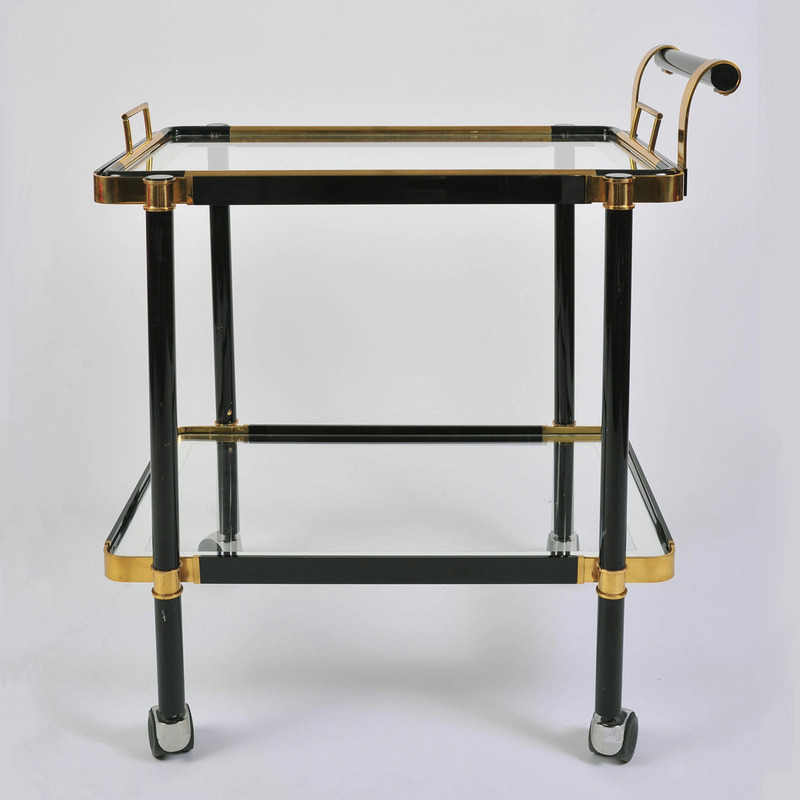 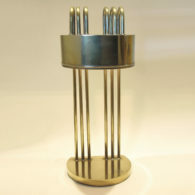 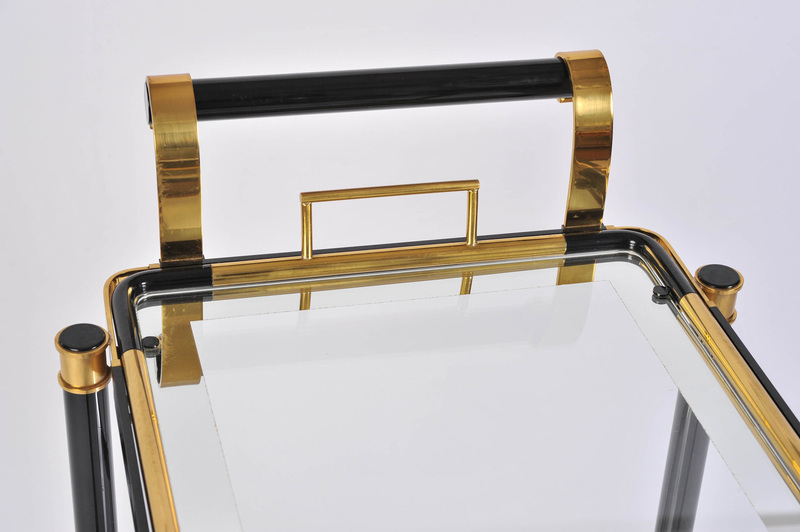 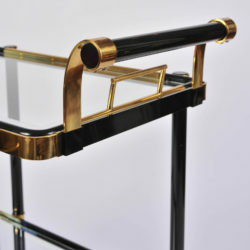 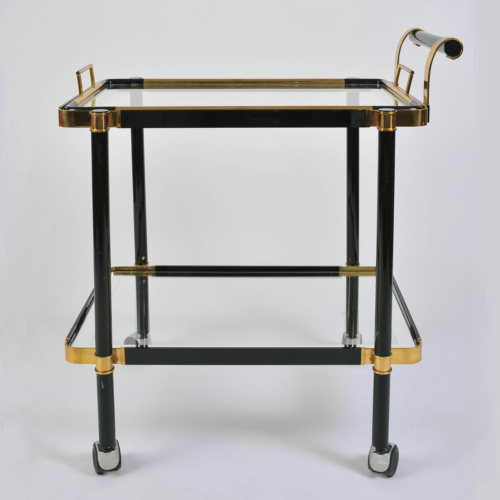 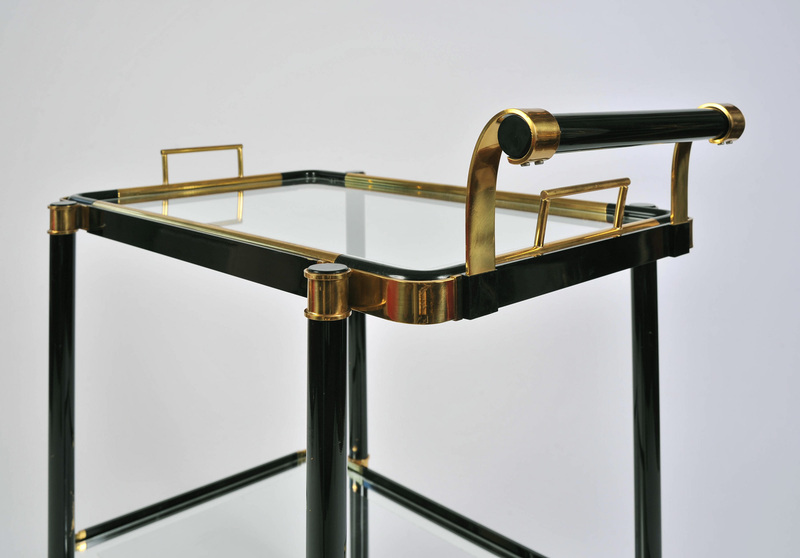 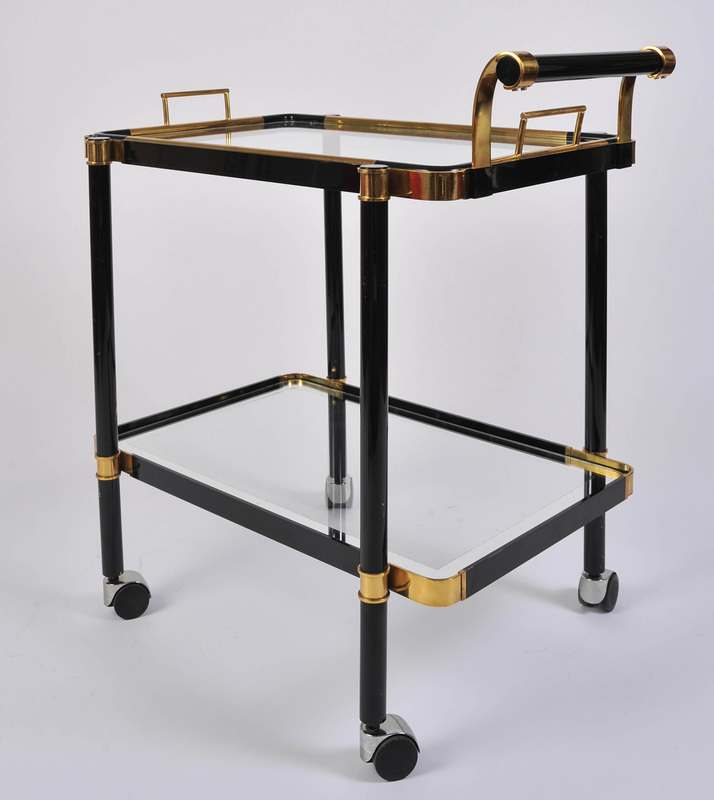 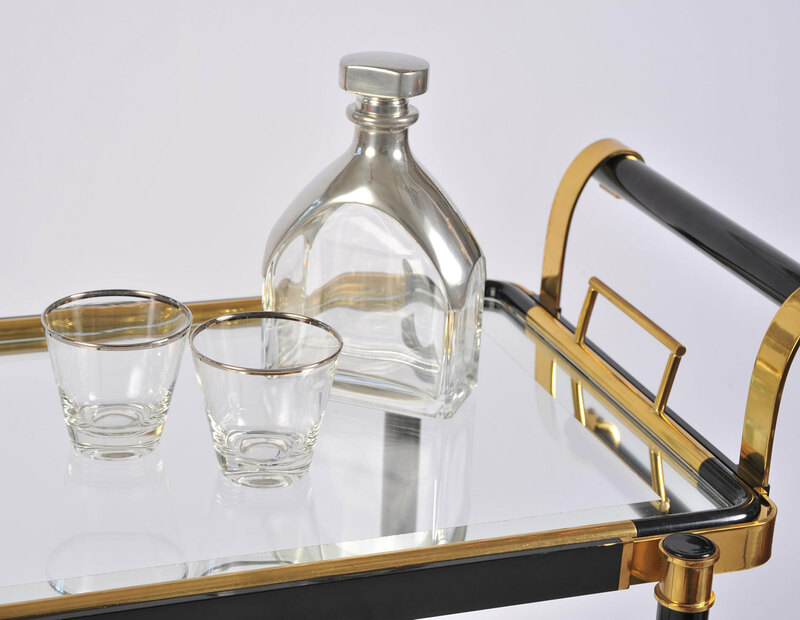 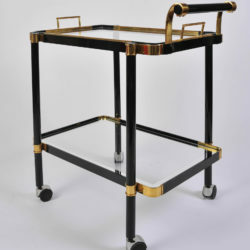 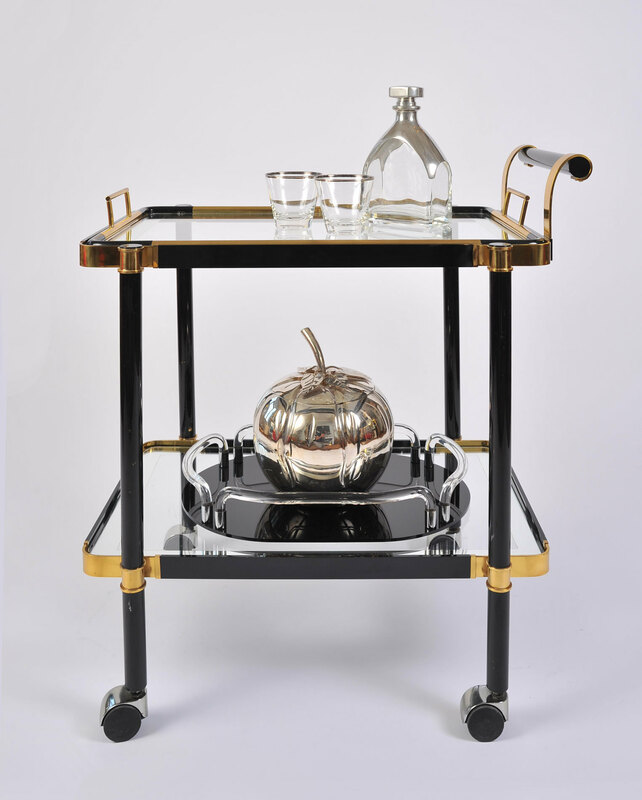 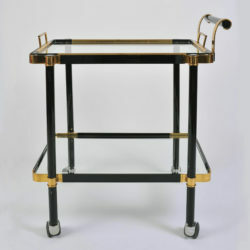 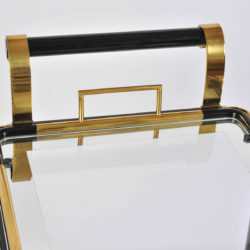 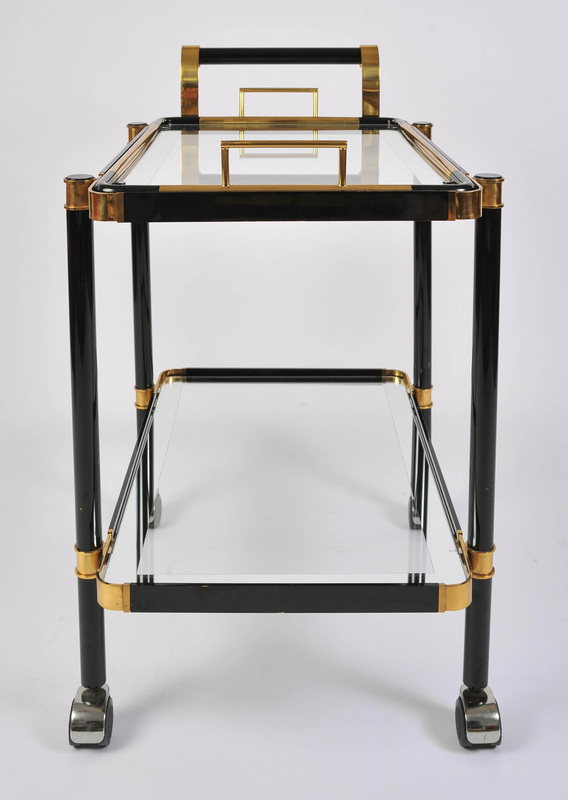 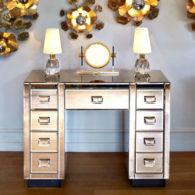 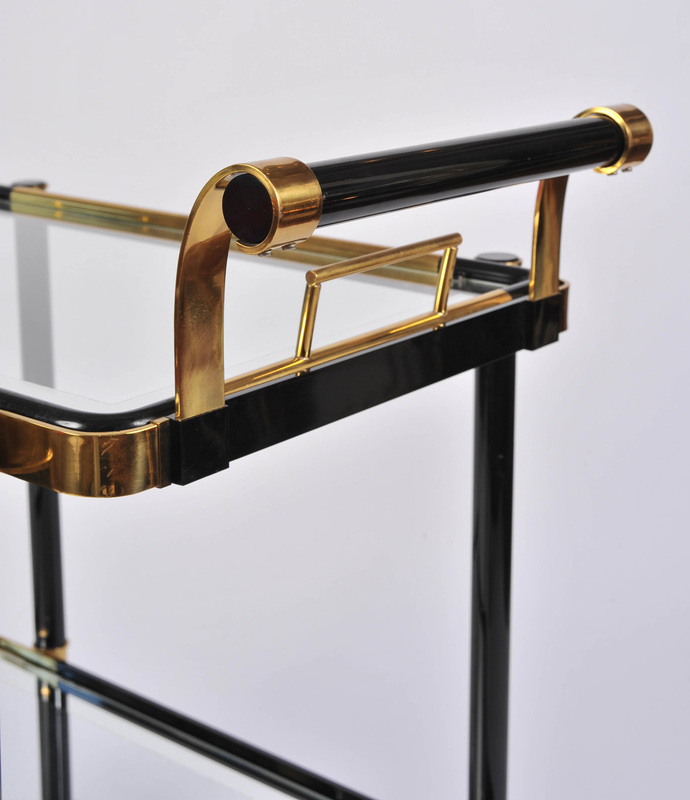 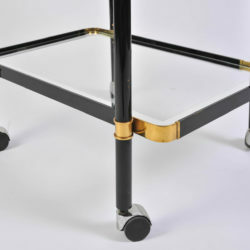 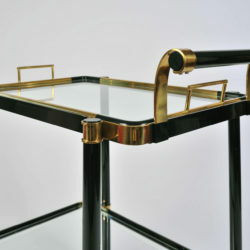 Well-proportioned two-tier black metal and brass drinks trolley. 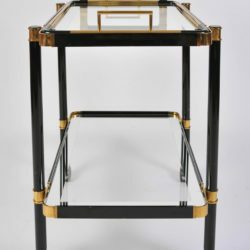 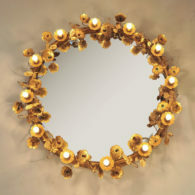 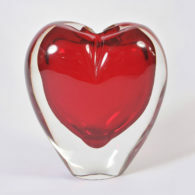 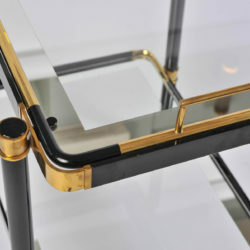 Each glass shelf is framed with mirrored glass. 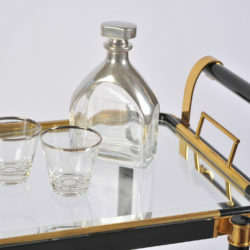 The top shelf doubles as a detachable tray for handing around the drinks. 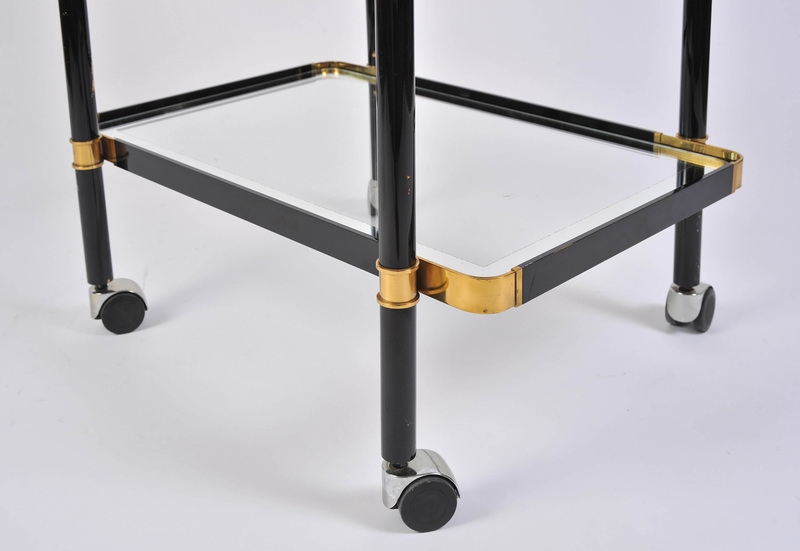 Castor wheels make it easy to manoeuvre.